Well, this one is going to be short. 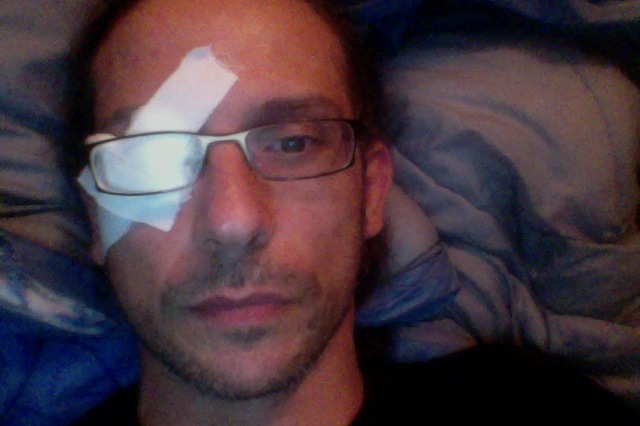 I’ve got a (hopefully) minor eye injury, and I can’t see a damn thing out of one of my eyes, so typing & editing copy? Not so much fun. Anywhoo, I was thinking today might be a good day for a do-whatever-you-feel-like kinda’ ride, so I’m taking this as a sign. Long, short, fast, slow, hard, easy… whatever sounds good to you, just do it. The season is just about to start, and it’s good for your mental health to get some days of unstructured, whatever the heck feels good kinda’ riding in before it’s race every weekend, train hard, rest when you can time. So, do whatever kinda’ ride sounds fun today. It’ll be good for ‘ya. – Hey, as mentioned yesterday, I’ll be out at the Washington Women Of Cyclocross event today (Sunday). If you’re in the Seattle area, maybe check it out! ~ by crosssports on August 23, 2014.